Set in Cuba's Sierra Maestra in the 1950s, in the days leading up to the Revolution--Manchette's unfinished masterpiece with a fearless female protagonist. 1956: Ivy has seen every conflict the postwar world has on offer, from Vietnam to East Berlin, and has published her photographs in slick periodicals, but she is sick to death of death and bored with life and love. It’s time for a break. Ivy heads to Cuba, the Sierra Maestra. History, however, doesn’t take vacations. 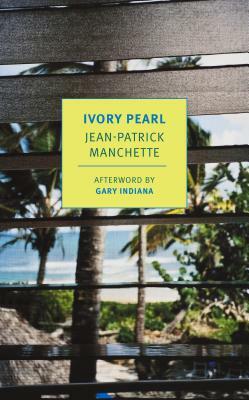 Ivory Pearl was Jean-Patrick Manchette’s last book, representing a new turn in his writing. It was to be the first of a series of ambitious historical thrillers about the “wrong times” we live in. Though left unfinished when Manchette died, the book, whose full plot has been filled in here from the author’s notes, is a masterpiece of bold suspense and black comedy: chilling, caustic, and perfectly choreographed. Jean-Patrick Manchette (1942-1995) was a genre-redefining French crime novelist, screenwriter, critic, and translator. Throughout the 1960s Manchette supported himself with various jobs writing television scripts, screenplays, young-adult books, and film novelizations. In 1971 he published his first novel, a collaboration with Jean-Pierre Bastid, and went on to produce ten subsequent works over the course of the next two decades and establishing a new genre of French novel, the néo-polar (distinguished from traditional detective novel, or polar, by its political engagement and social radicalism). NYRB Classics also publishes Manchette's Fatale and The Mad and the Bad. Donald Nicholson-Smith was born in Manchester, England and is a longtime resident of New York City. For NYRB Classics he has translated Manchette's Fatale and The Mad and the Bad and Jean-Paul Clebert's Paris Vagabond, and for NYR Comics he has translated Yvan Alagbé's Yellow Negroes and Other Imaginary Creatures and Nicole Claveloux's The Green Hand and Other Stories. Doug Headline is the son of Jean-Patrick Manchette. For over three decades, he has been active as a journalist, director, and screenwriter while also writing, translating, and publishing comics. In collaboration with the artist Max Cabanes, he has adapted in graphic-novel format three of Manchette’s novels, Ivory Pearl, Fatale, and Nada, and is at work on a fourth. Gary Indiana is a critic and novelist. His most recent books include I Can Give You Anything But Love, a memoir, and Tiny Fish That Only Want To Kiss, a collection of short fiction. His writing has appeared in New York Magazine, The New York Times, Vice, the London Review of Books, and many other publications.